Four very different women are drawn together in the warm and engaging new novel by this bestselling author. 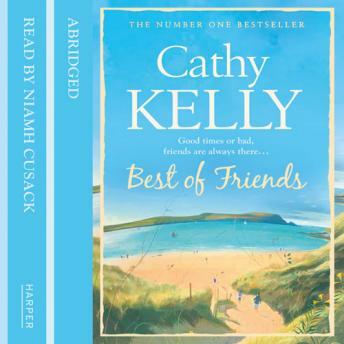 In the beautiful town of Dunmore, four women understand what friendship really means. Abby's TV career is taking off, but her marriage to Tom is rocky. Meanwhile, her teenage daughter Jess despairs of ever finding a boyfriend. Lizzie has time for everyone: her grown-up children, her friends, even her ex-husband Myles, but never for herself. And then there's Erin, married and back in Ireland after eight years in Chicago. But can she face up to her past?